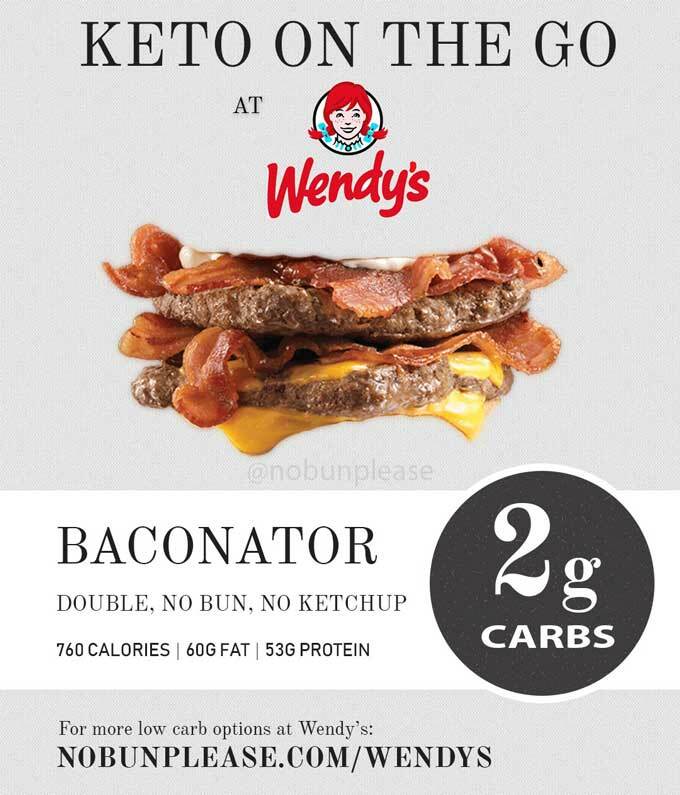 For the most part, low-carbing at Wendy’s is pretty standard. You will basically order a sandwich without the bun or get a salad. When I ask for “no bun please,” the workers will generally give you a bun-less sandwich with the toppings on the side in a dish with a fork and knife. It’s pretty convenient! Sometimes, they even put in big lettuce leaves to “wrap” the sandwich in. 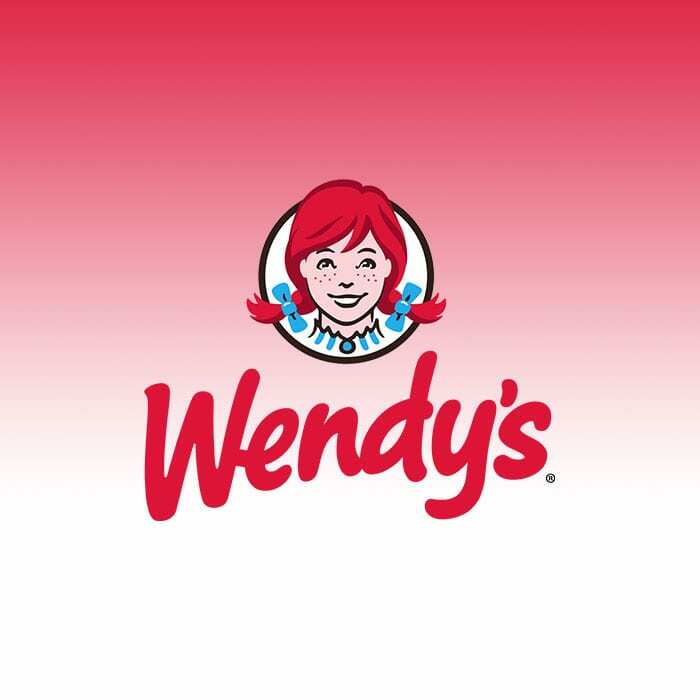 A full report of Wendy’s nutrition facts can be found here. 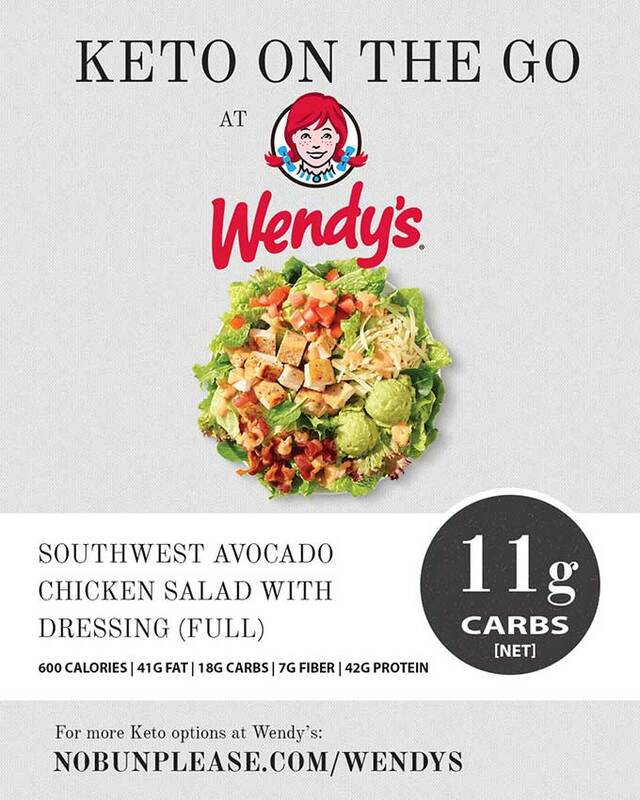 What is your favorite low-carb meal from Wendy’s? Have any additional tips for navigating the menu? Post below! This was quite helpful! I had no idea Wendy’s could be so accommodating. Game changer! I doubt the nutrition content provided here for Mayonnaise as it does include HFCS and Corn syrup clearly specified. So does bacon typically and they’re still considered zero carbs. When the label reads 0g carbs, this means that there was less than 0.5 grams carbs and by law, they don’t have to round up.